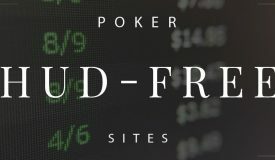 It’s extremely unlikely that online poker will be regulated and licensed at the federal level with the Feds content to leave it in the hands of state governments. 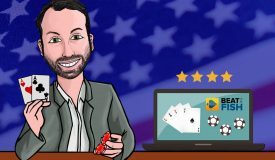 The future of online poker as we know it in the US is at an interesting crossroad. At the Federal level, the Department of Justice and certain members of Congress have seemed to make vanquishing online gaming a personal vendetta. Nothing has been off-limits over the past decade when it comes to taking down that pesky no-tax-paying thorn in the side of every red, white, and blue casino mogul with dreams of a state-sanctioned monopoly on the online betting market. Ignoring international trade laws and receiving sanctions from the WTO? Check. Attaching anti-gaming legislation to bills about protecting American ports at the eleventh hour so no one noticed before it’s too late? Check. 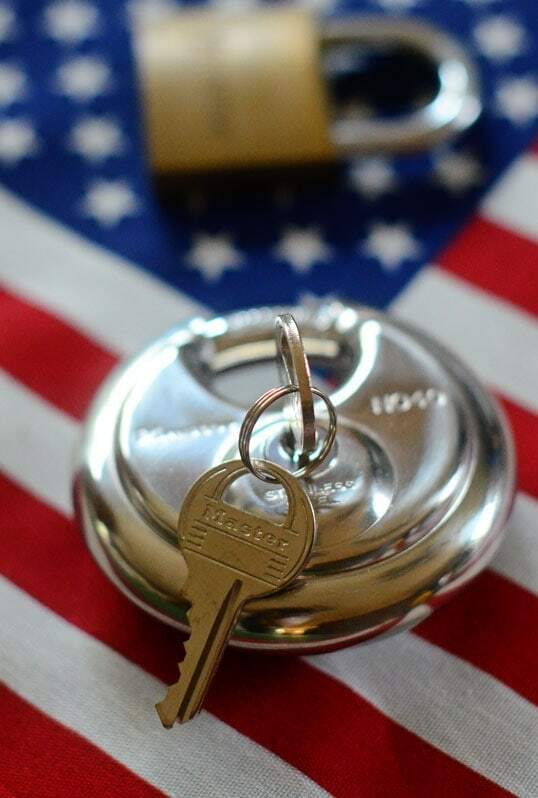 Seizing funds, companies, and bank accounts that never crossed onto American soil? Check. Claiming jurisdiction over that big intangible network that no one is supposed to own known as the Internet and vaporizing domain names at will? Check. Crafting laws that go after offshore gaming sites but build in deliberate carve-outs for domestic horse racing and fantasy sports? Check. There is a lot of money involved with online gaming and it doesn’t currently funnel through the IRS so it’s natural the Feds would take an interest. What is especially frustrating to players, operators, and even politicians is the veracity of the effort to wipe it out at all costs. Pretty much the only ones supporting such actions are land-based casinos who want the competition gone for potential online services of their own or segments of the public with their own agendas against any form of gaming. The most incredible part on the federal side is that there is dissent between branches of the government. Thanks goodness for checks and balances, right? While the DOJ marches on with its imperial quest there are plenty of members of Congress who see online gaming as a potentially significant source of revenue in an economy that still needs it. There have been a number of studies done by independent organizations that show regulated US gaming could generate hundreds of millions to billions of dollars annually. 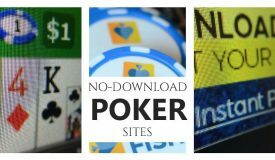 A lot of reasonable members of Congress have gone forward with legislation designed to regulate online poker, house games, or both but have yet to garner enough support to actually pass anything as of yet. Despite periods of momentum with numerous bills being introduced that made legislation seem inevitable there has always been a backlash from the Justice Department that shows they aren’t willing to let the bone go. Combined with more recent attempts by pockets of Congress that are accepting vast amount of “support” from casino lobbyists to outlaw any existing form of online gaming and it’s clear that the federal front seems doomed to limbo. The road running in a completely opposite direction is that taken by individual US states. State governments pick their spots on when to dissent from federal law. 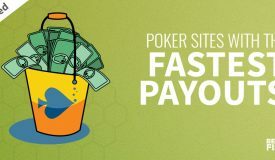 What’s so refreshing is many of them are picking online poker to be worthy of that effort. Those same studies that show the economic potential of online poker certainly apply to states as well, albeit on a smaller scale. States with tight budgets or deficits are looking at online poker as a legitimate option to close those gaps, and why not? US states have used statewide lotteries to fund programs for decades and, even though it’s apples and oranges to players, to the state governments it isn’t that different. The most beautiful part is that, under current laws, the Feds can’t touch it. 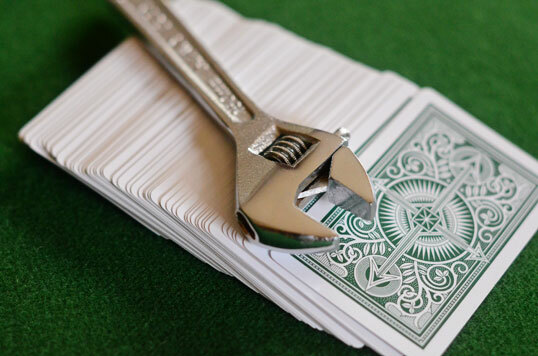 Despite dozens of bills in state congresses over the past decade the concept of any type of government-sanctioned online poker seemed like a pipe dream that someone in the shadows was always able to squash. That is, until the rapid progress that has happened recently. 3 states have already gone through all of the red tape and are spreading real-money games to its respective citizens as you read this. 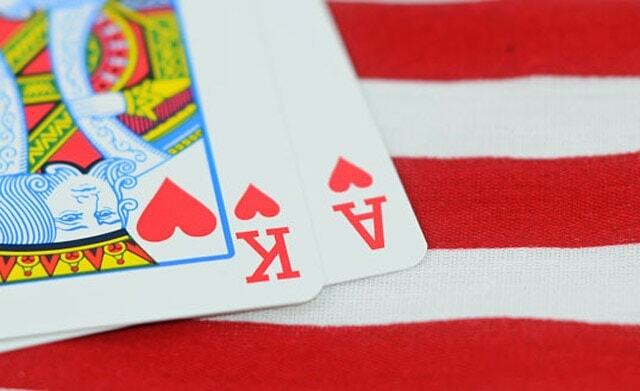 Nevada, Delaware, and New Jersey are currently forerunner for the legalized online poker in the US. It is hard to say who will be the next to join the list of legalized US states. Being completely honest, I had a tough time imagining any type of organized online poker that the government had a hand in. When told by another site owner that New Jersey had just passed a bill that would allow real-money games online within the state I remember saying something along the lines of, “I’ll pay attention when they actually deal their first hand.” I’m glad that my skepticism was very wrong. 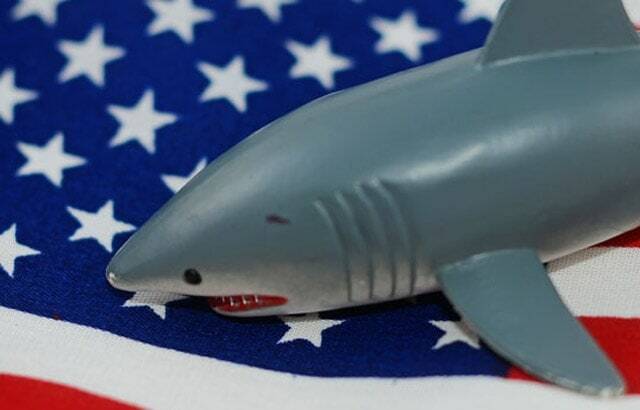 There are currently 3 states in the US who have passed online poker legislation and currently offer in-state real-money games: Delaware, Nevada, and New Jersey. Of course, the limitation is that players must physically be located in the respective state. With the low populations of the supporting states the number of active games has been underwhelming. However, the most intriguing possibility is for states to band together and create agreements to share player pools with one another. This has already been done between Delaware and Nevada and seems key to reaching a sustainable threshold of active players. Once a high-population state comes on board such as California or New York things could really take off in a hurry. California has been a long-time dream of those supporting online poker in the States. With a big population and already present popularity of poker, it is expected that online games would flourish in such an environment. Recently, California has made some important breakthroughs towards joining the list of the legalized US states offering online poker. However, not much has happened between 2013, when New Jersey passed the legislation, and today (2016) regarding other states. This year finally saw some positive movements in California as an agreement was reached with representatives of the horse-racing industry. This has been one of the biggest obstacles for the legislation, as track owners want their piece of the pie, but lack grounds to apply for operating licenses. The bill proposed by Adam Grey would see track owners compensated with $60 million on the annual level in exchange for their agreement not to fight for licenses. So, California seems to be on the verge of finally passing an online poker legislation, but there are still some details that need to be ironed out. Some are convinced that if the legislation doesn’t happen sometime in the next two years, it will basically be dead forever. As for New York, in June of 2016, the Senate passed the bill to regulate online poker in the state with an overwhelming majority. However, reaching the Assembly, the bill was put aside for consideration at some later date and there are some not so encouraging news coming from the insiders about its fate in the Assembly. 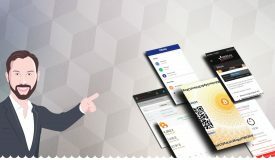 The operator side works through licensing, with fees being paid to the states for the privilege of servicing its citizens. As a third party, operators provide the software and ring-fence the players to ensure that they’re only located in supported states. For now, operators have been a mixture of brick-and-mortar casinos (Harrah’s for WSOP.com) and offshore poker rooms that have played nice over the years (i.e., those that didn’t allow American players post-UIGEA or those that paid the US government massive fines) such as PokerStars and 888 Poker. Just recently, the biggest online poker company in the world, PokerStars, was approved to operate in New Jersey. This was a big leap for the industry giant as it was the first time after Black Friday that they regained access to the US market. 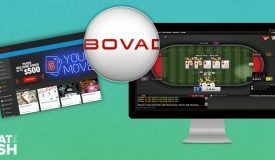 Many believe that their experience and massive marketing budgets are exactly what’s needed to bring the online poker market in the States back on its feet. Others, however, are afraid that PokerStars could enact a monopoly of the sorts, pushing everybody else off the grid. To make sure there aren’t too many operators for the given market, states try to limit the number of licenses given out. For example, the proposed legislation in Michigan provides only for eight such licenses, given to the most eligible candidates. All of this works and it’s being played right now by residents of those forerunner states, albeit on a low level due to the size of the states involved. Although 3 sates adopted online poker legislation in quick succession the rest of the country has been mired in greedy in-fighting with no real progress. 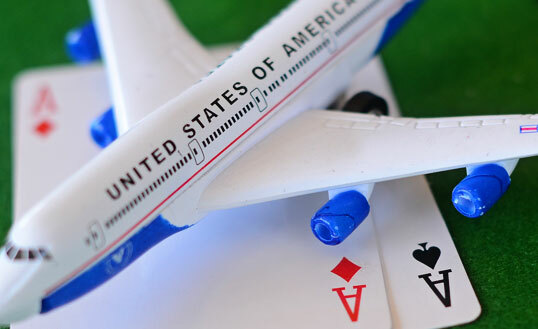 What’s on the horizon for state-run online poker in the US? Certainly not the status quo and the mid-2010s figure to be one of the more pivotal times in online poker’s history. There are currently 8-10 other states with legislation in various states of motion, some that could be game-changers like New York, Pennsylvania, California, and even Michigan. At least couple of these are likely to set up legalized online poker in the next couple of years. The multi-state network which would expand the player base (similar to how existing lotteries like PowerBall work) makes too much sense to not happen. Many other states seem to be in a wait-and-see mode, letting the rest of the country give them examples of what to expect but not committing to a public opinion. There also may be an eventual showdown with the Feds, thanks to conflicting interests. The states are looking out for themselves and filling in budget gaps. The federal Justice Department has a clear agenda against all forms of online gaming. They also have the cooperation of some members of Congress who are lobbied aggressively by casino conglomerates, who aren’t thrilled with having to share the legislated state markets with offshore licensees. It doesn’t seem like they will be content until they’ve achieved a complete monopoly. One of the most vocal adversaries of online poker, Sheldon Adelson, has spent a lot of money trying to hinder the legislation on all levels as much as possible. The billionaire owner of the Las Vegas Sands, one of the biggest land-based casino companies in the world, has been pushing his agenda under the guise of religion and preserving real American values. His story is easy to see through, as Adelson’s stands to earn billions by stopping the legislation, but his propaganda budget is basically endless. 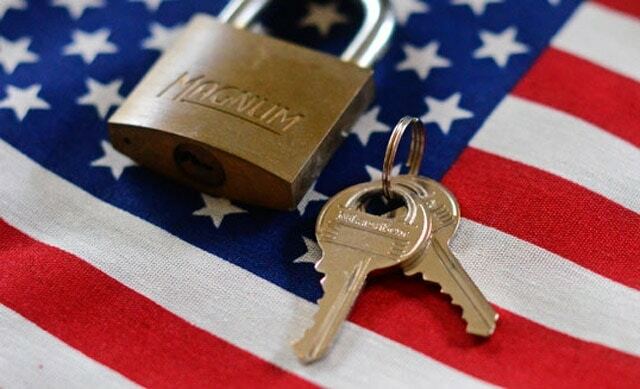 The future of regulated online poker in the US is likely going to come down to how far the federal government will let the states “get away with” their constitutional rights to create some of their own laws. In some of the legislation floated by the anti-gaming wing of Congress it outlines how the state gaming laws would be repealed if passed. It’s remarkable the lengths those with power will go to crush online gaming and now, even be willing to waste the resources expended by states to make legal domestic gambling a reality. Barring that extreme action the future still looks quite bright for state-regulated online poker.